i got really emotional this morning by an overwhelming sense of completeness that i'm often too "busy" to slow down and take the time to notice on an every day basis. i feel like i have it all- everything i've ever wanted- and i'm grateful. i'm thankful for my man. 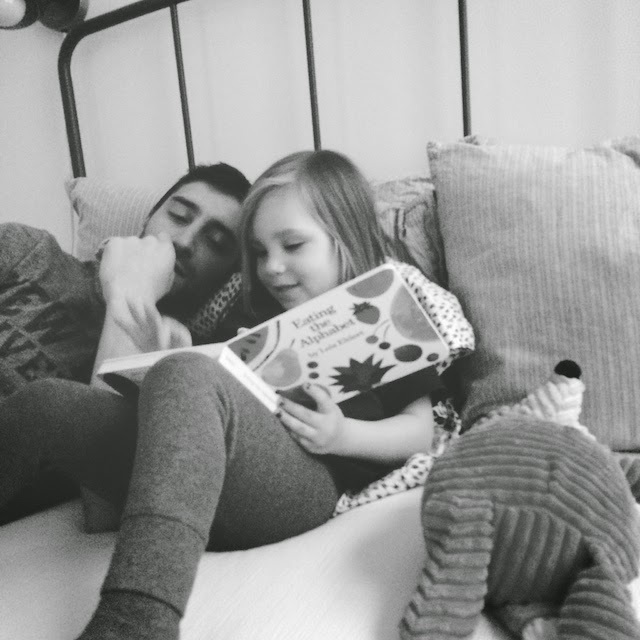 i'm thankful that he always takes the time to read to our kid. i'm thankful that he not only handles my crazy, but appreciates it. i'm thankful for that layer of scruff on his face, too, and that he always cleans after i cook. i'm thankful for how hard he works and for the sacrifices he makes for his family. i'm thankful for the spontaneous dance parties in our living room and his unending attempts at making me laugh. i'm thankful for the adventure of parenthood. i'm thankful for my beautifully complex little girl, a person who keeps me laughing and on my toes constantly; a two-nager who reminds me that life is about learning and finding the joy in even the littlest and most mundane things. i'm thankful for her enthusiasm and her tenacity. i'm thankful for her being mine. i'm thankful for edie cooper and her proving to me what my body is capable of doing after a rough year and a half of it failing me at every opportunity it was given. i'm thankful that i have the opportunity to be pregnant again and to birth another little soul who will call me mama. there is no other title that i'm more grateful for and proud of. i'm thankful for our families. i'm thankful for our friends who have stepped in and become our family. 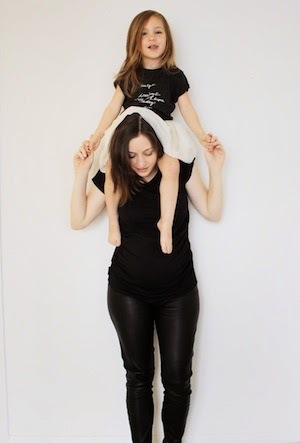 i'm thankful for a tribe of women who help me raise marlo and lift me up when i so desperately need it, women who i'm so very proud marlo and edie have to look up to. i'm thankful for this city that has adopted us, this city that i often complain about and take for granted. i'm thankful for this time spent away from our comfort zones- even when it has been one of the most difficult things i've ever done- and being forced to stand on my own and make the clear distinction between what i want in life and what (or, who, rather) i actually need. love this post! happy holiday season to the Fadel clan!